I Heart Artesian w/ Megan Nash, Kris Alvarez, and more! 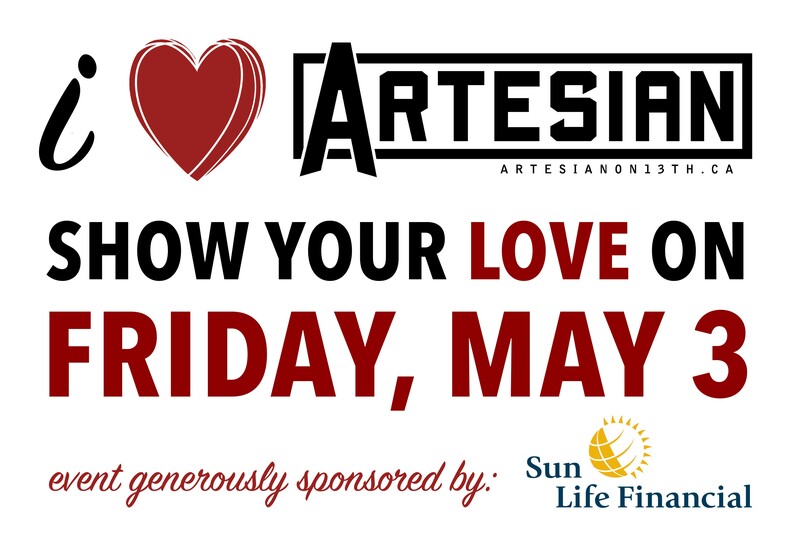 This year we're celebrating our love for the Artesian with a one-night-only variety show fundraiser event! 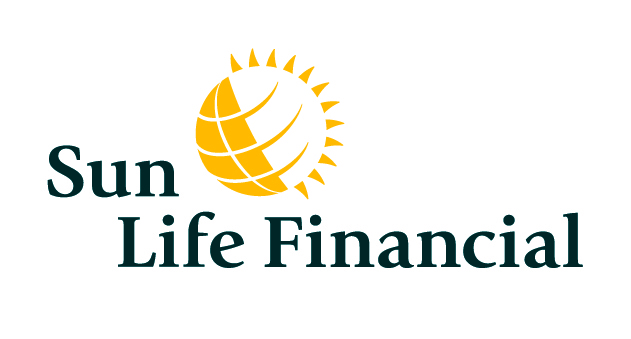 The event will take place Friday, May 3rd, 2019 and will feature music from local musicians Megan Nash and Kara Golemba, poetry from former Saskatchewan poet laureate Gerald Hill, lots of laughs from our fantastic host Kris Alvarez and guests from Hitchhikers Improv Company, DJ sets from DJ SSRB to set the mood, and a whole lot of great raffle prizes! 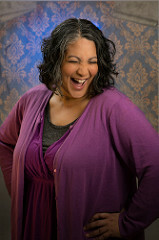 Kris Alvarez is a theatre artist + a Regina monologue. She enjoys a good laugh and a great story. Kris has had the privilege to create & play with all ages at Globe Theatre School and currently at her ‘home away from home’, Fadadance. Fall 2018, Kris stepped into an artist-in-residence with Common Weal Community Arts’ program, Respond to Racism. Kris is passionate about her contributions to Curtain Razors! Besides performing in the productions of Bad Blood and Carmen Angel, she is actively involved as an Artistic Associate with the Board of Directors. After a successful May run of her show, Kris continues to build on the (somewhat) autobiographical What Kind of Brown Are You? – A project inspired by her experiences ‘growing up brown’ in 1980s Regina. She is over-the-moon excited to have the company’s support for the project’s next instalment, Burnt Sienna with Kris Alvarez – a variety show “with a little more colour” presented as part of Curtain Razors’ Moveable Feast 2018-19 series at the Artesian. 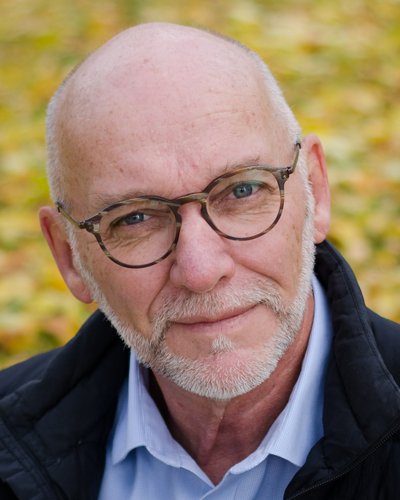 Two-time winner of the Saskatchewan Book Award for Poetry, Gerald Hill published his sixth poetry collection, Hillsdale Book, with NeWest Press, and A Round For Fifty Years: A History of Regina's Globe Theatre with Coteau Books, both in 2015. He was the Doris McCarthy Artist-in-Residence at Fool's Paradise in Toronto in 2015 and Poet Laureate of Saskatchewan in 2016. He lives and writes in Regina. Kara Golemba digs deep to draw strength from her roots. Having grown up and lived in cities across Western Canada, it took moving to small town Saskatchewan to find her voice and be able to succinctly portray her unique perspective on life and love. Through music, she is dedicated to exploring new realms of emotion, thoughtfulness, and compassion with her audience. Her debut EP, Every Little Light, is a down-to-Earth mix of country, folk, and roots music and established her as a part of the emerging independent prairie music community. Golemba spins her songs from the threads of her daily experiences, relationships, natural environment and ancestral heritage. Her voice can be a sweet mixture of warm honey with a little grit, or she can raise it up to rattle the teacups. Often, Golemba is compared to artists like Susan Tedeschi with her powerful vocal or Brandi Carlile for her unique lyrical perspective. Her single ‘Box Labelled You’ released Fall 2017 has certainly gotten her fans excited about the upcoming full length album release. Kara Golemba has played SaskTel Saskatchewan Jazz Festival, The Gateway Music Festival, The Craven Country Jamboree, Telemiracle, and appeared in CBC/Creative City Centre’s ‘Empty Room Series.’ She also won the 2016 620 CKRM Proudly Saskatchewan Showcase and her track “Mason Jar of Memories,” picked up the ‘Spirit of Saskatchewan Songwriting Award.’ In the prairie tradition, it’s clear that instead of putting on songwriting airs, Kara Golemba uses her unpretentious, rural surroundings to fill her creative well. In 2013, four young-blooded improvisers set out to create a space for comedians in Regina, Saskatchewan. 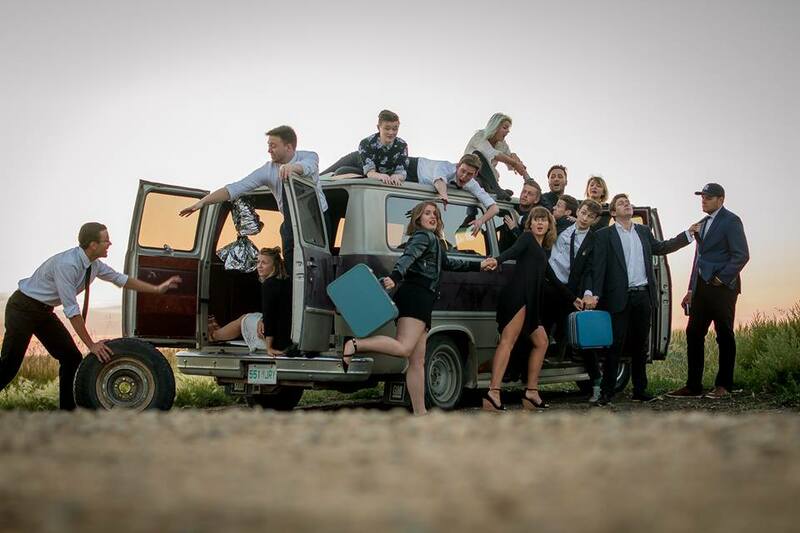 Above a shoe store in The Creative City Centre, founders Andrew Parry, Cameron Chomyn, Danny Murphy and Samantha Gross ran shows involving local Regina improvisers and guests from other cities. At the end of a series of sold out shows, they opened their doors further and grew to become Hitchhikers Improv Company. Now with a brilliant team of hardworking and dedicated staff, Hitchhikers Improv Company is focused on the training and direction of improvisers with the mandate of fostering an improv community in our beautiful (and hilarious) city. We currently have over forty talented members more than five teams. We produce close to 40 shows a year—from improv to sketch and stand-up—and have performed in festivals from Winnipeg to Vancouver.